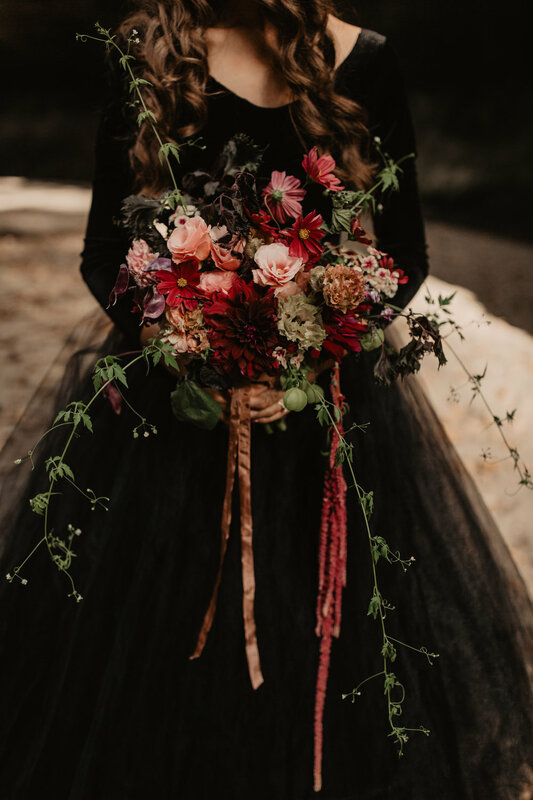 This 'gothic' styled bridal session was inspired by all things bold and romantic. I chose a darker pallet because, I don't know about you, but when I hear the word bridal I automatically picture a brighter, softer pallet and I really wanted to challenge myself to do something that I hadn't really seen done before. I wanted blacks, and deep rich purples and reds and I have to say.... this amazing team of vendors absolutely nailed it. We played around with harsh light and shadows, smoke bombs and vine walls. Believe me, it's worth looking through all the way to the end and I hope that you feel empowered and inspired once you get there. Be bold. Be different. Be you.